Curling your hair can sometimes be incredibly frustrating. Curls can be quick to loosen, fall out, droop or appear frizzy. These problems can be quite easy to eliminate with a few extra steps. In order to ensure the curls last a long time, you want to start with Second Day hair. If you do need to shampoo, try to use less shampoo and conditioner as sometimes these products strip the hair of natural oils needed to hold a curl. You can also add some Dry Shampoo or Texture Spray to the hair for some extra texture. Although it is time consuming, one of the most effective tricks on how to get your curls to stay is to let the curl cool down and set. Take each fresh curl, keeping the curl shape, and secure it with a duck bill clip or a bobby pin. Once the curl is cooled down, it will allow the cuticle to close and set in place, making the curl last for a much longer period of time. If you don’t have the time to pin and cool the hair, let the curl sit for 5 minutes and then apply product, comb etc. Apply styling products to your hair will help hold the curls longer. Depending what works with your hair, apply curl enhancing mousse or gel to your hair, or spritz a bit of hairspray before and after curling. Barrel size is important. It's easy to think that a bigger barrel will give you those Victoria Secret Curls but it’s a smaller barrel that really does the magic. Depending on your hair, try using a 1" or 1.5" barrel, and see what difference it can make! Not only will the curls look better, but they will also last longer. If you still have problem keeping the curl, it might be time for a haircut or at least a trim. 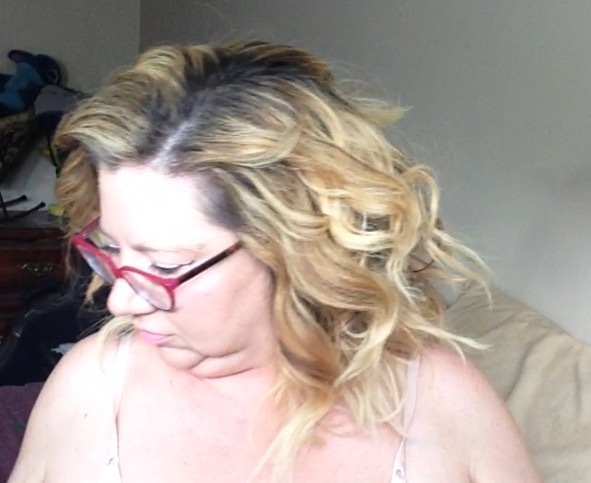 Overly damaged hair with split ends just doesn't curl well…. It's time to give your hair some love and get a trim!